Info: Length: 76cm Width: 60cm. 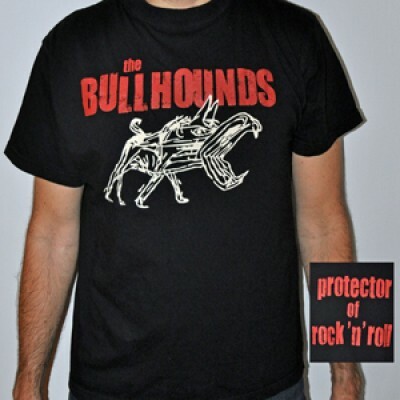 Very high quality black colored T-shirt with red lettering and off white dog logo in 100% cotton with a print that lasts! Text on the back in red lettering: “protector of rock’n’roll”. The T-shirt will shrink 6% when washed.